At this week’s USA-Swimming convention in Jacksonville, Florida, the first big debate has sparked in the Senior Development meeting. This was specifically surrounding what qualifying times can be used for this summer’s U.S. Open Meet (which will be held in Indianapolis as the proxy for U.S. Summer Nationals in the post-Olympic year). 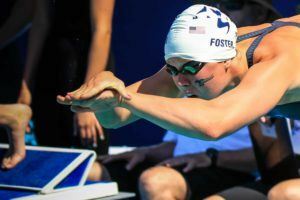 The point was brought up that there was interest in only allowing long course meters times to qualify for the U.S. Open. At Nationals this year, about 30% of the qualifying times were done in a yards format. This is initially a response to the massive turnout that USA Swimming Nationals had this year, where participation was something like 50% higher than it had been the year before with over 1,800 participants. The theory behind standards only existing in long course is that it would eliminate a slew of college swimmers who had great conference championship meets, earned their short course qualifying times, and then took a big chunk of the spring off before sort of limping into nationals. If this change were to be made permanent, there may come with it a push by college coaches to make Winter Nationals a long course meet permanantly as well. 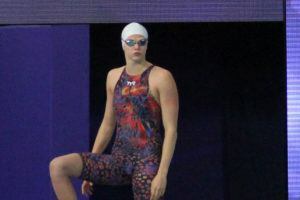 In 2012, to allow swimmers to achieve Olympic Trials qualifying times, the meet has been changed from its usual yards format to one in meters. Stay tuned as we bring you more insights and tidbits from the convention, which will run through the weekend. This is great! Please continue to update us on discussions at the convention.